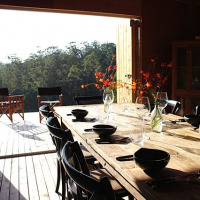 The Bruny Island Long Weekend is a unique experience which begins with a private boat journey from Hobart. 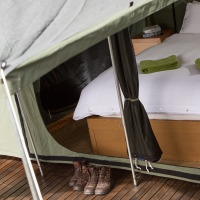 Over the next three days you will be treated to coastal walks, gourmet produce direct from the source, and luxury camp accommodation. 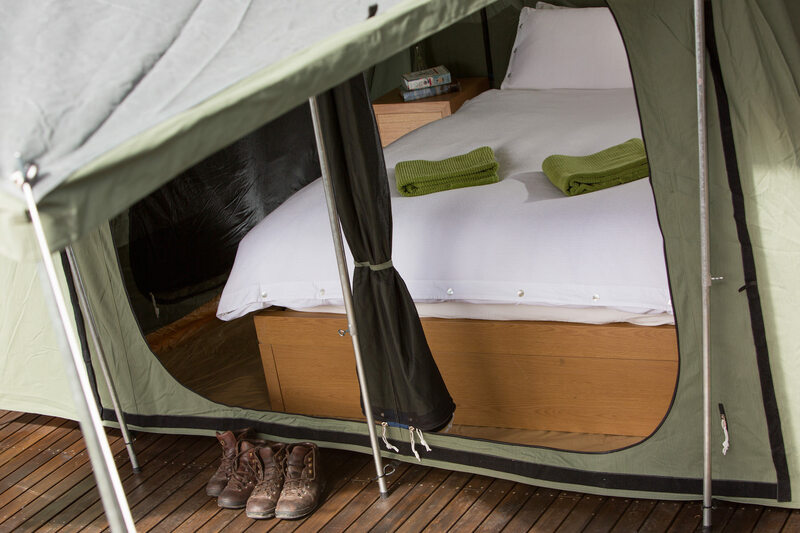 The secluded camp, built entirely off the grid with luxury in mind, is the perfect place to retreat after the days' adventures. Crisp sheets on king-sized beds and an outdoor shower framed by towering Eucalypts await, as do delicious, freshly prepared meals. End the day with a glass of Tasmanian wine by the roaring fire, and perhaps spot some of the local nocturnal wildlife such as Quolls, Pademelon and the rare white wallaby. Brimming with activity, this weekend is delivered in a relaxed style that will leave you feeling restored in a way only Bruny can. Step aboard our private boat and explore the river Derwent as you cruise to Bruny Island. Enjoy a guided walk on Bruny Island’s east coast (12km return, 5-6 hours). Cool off by wading out into the crystal clear waters of Great Bay and harvesting your own oysters. Sit back and enjoy a glass of wine as your guides prepare dinner sourced either from on the island or in the waters surrounding it. Guided walk to East Cloudy Head for views of Bruny Island’s rugged South Coast and the Southern Ocean (12km return, 5-6 hours). Enjoy some time to yourself and try to spot some of Bruny Island’s 150 species of birds (including all 12 Tasmanian endemics). 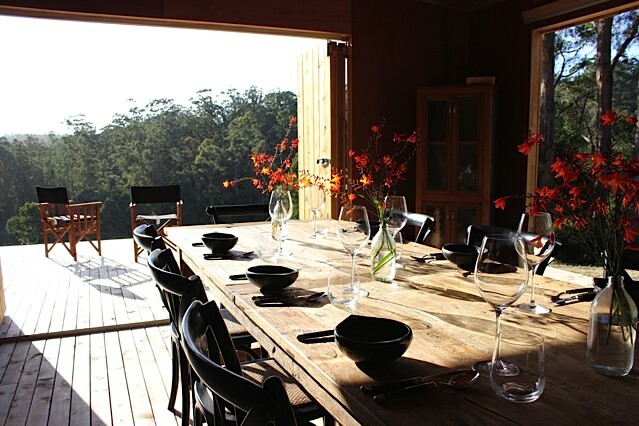 Gather round the crackling fire with a glass of pinot from Tasmania’s Southernmost vineyard. Perhaps sight some of Tasmania’s unique nocturnal wildlife, including Quolls, Pademelon and the rare white wallaby. Enjoy a sleep in and a leisurely breakfast or join an optional walk to explore the flora and fauna of the 100 acre property. Climb through ancient Gondwanan rainforest to the summit of Bruny Island’s highest point for spectacular panoramic views (5km, 2-3 hours). Enjoy lunch and a farewell drink on the deck of The Jetty Cafe. Farewell Bruny Island with a scenic boat trip back to the Hobart waterfront. Friday departures are guaranteed to depart, regardless of numbers. Other trips require a minimum of 4 guests to guarantee departure. We recommend you be in good health and be moderately fit to undertake the trip. We walk for approximately 5-6 hours on both day 1 and 2 and cover around 12km each day. On the third day we enjoy a short guided walk through the rainforest. Tours operate between November and April. Gather a group of 8 friends and save 10% on the tour price.